A few stragglers took a bit longer to formulate their responses to the landmark Supreme Court decision this week on gay marriage. 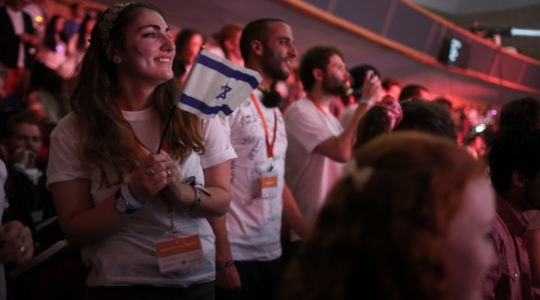 The National Council of Young Israel wasn’t quite as eloquent as the Orthodox Union, nor as elegiac as Agudath Israel of America, but the essential view is the same. We oppose homosexual marriage and are disappointed that the U.S. Supreme Court rendered a decision that strikes down portions of the Defense of Marriage Act. 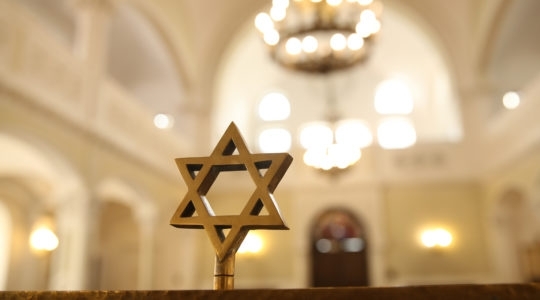 Pursuant to the tenets of the Jewish faith and in accordance with Torah law, we believe that marriage should only be recognized as a union between a man and a woman, just as it always has been throughout history. Someone also forwarded me the video response below from an unidentified-yet-very-disappointed Orthodox rabbi with a talent for metaphor. After rehearsing the biblical story of Bilaam — the lesson, if I understand correctly, is that if a donkey engages you in conversation, don’t talk back — he gets to the point. Any carpenter will tell you that if you want to wed two pieces of wood, you take a zachar and a nekeiva, you take a male and a female, and they fit — one couples with the other. And that’s how you fit two pieces of wood together. You have a male and a female board. OK, fine. But what if those pieces aren’t wood, but metal? What then? We can’t speak of marriage, of a wedding. We can speak of a welding. You take two pieces and weld them together. Yes, but they’re not wed together. UPDATE: The rabbi in question is Yoel Schoenfeld, rabbi of the Young Israel of Kew Garden Hills in Queens.